Drawing on twenty years experience delivering IT Service Management solutions Hornbill has combined modern collaborative and consumer technology with traditional best practice to deliver an innovative user-friendly solution. 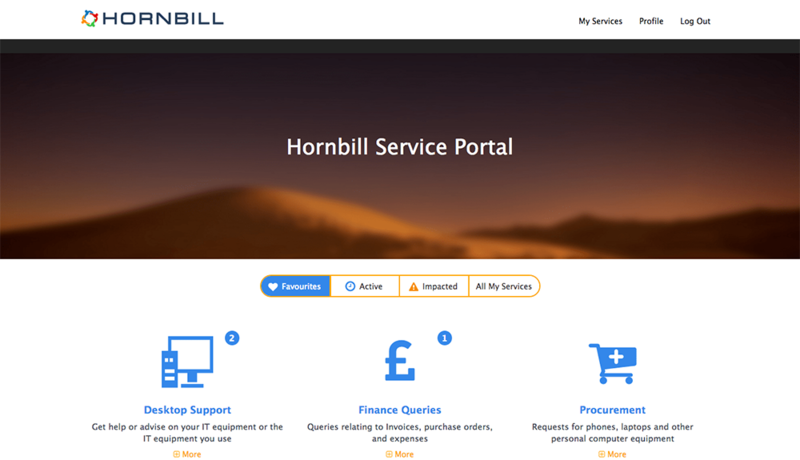 Service Manager, Hornbill’s next-generation ITSM application, provides a fresh approach, making it easy to adopt and deploy best practice. Hornbills unique collaborative approach helps you to unlocks tacit knowledge enabling your teams and experts to better communicate and share knowledge and ideas making it easier resolve issues and solve problems increasing engagement and customer satisfaction. Your service desk isn’t just software. It’s where agents meet users; where people meet technology. Hornbill Service Manager gives your team access to a service desk that is as intuitive and easy to use as the personal tools they already love. Like those tools, Service Manager works the same way that people do. By harnessing familiar ‘social’ concepts, the user interface lets users become more productive instantly. Processes are key to the success of any Service Delivery operation. The ability to quickly and easily configure complex operational processes and to automate and streamline these processes can make all the difference. We have created a powerful yet easy to used business process engine which is designed to ensure that the complexity involved in typical business processes is largely invisible to your end users and the people carrying out those processes. 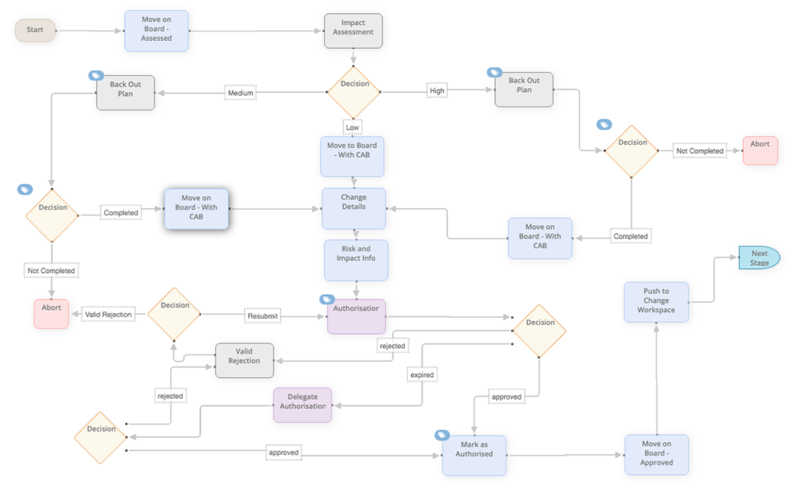 Our unique task-orientated workflow orchestration drives both manual and automated tasks, streamlining the process of getting work done and we provide a range of ITIL compatible processes for Incident, Problem, Change management and more out of the box to get you started quickly. Consumer apps have raised the level of expectation in regards to being able to get things done from anywhere. 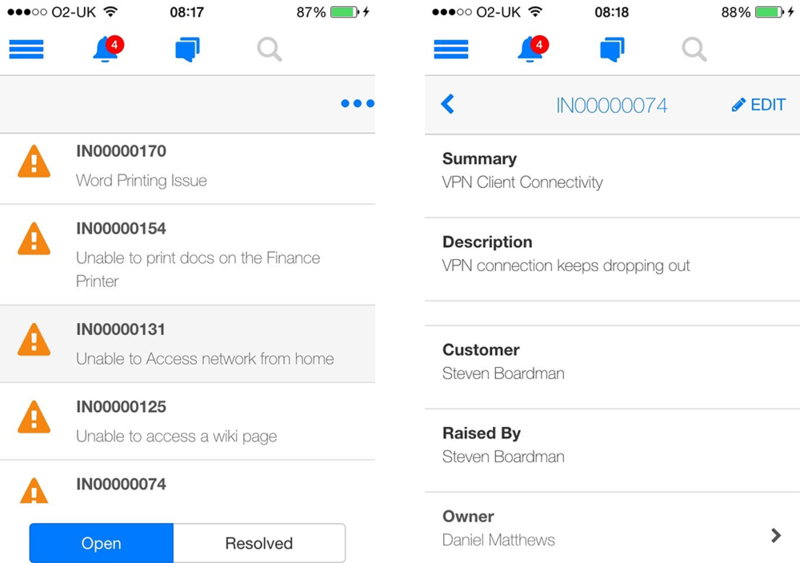 Hornbill is built with this in mind and our collaborative and ITSM capabilities extend into the Hornbill Mobile Apps allowing you to interact with colleagues, manage requests and drive business processes forward. On-the-go collaboration means you get notified and can take action wherever you are. 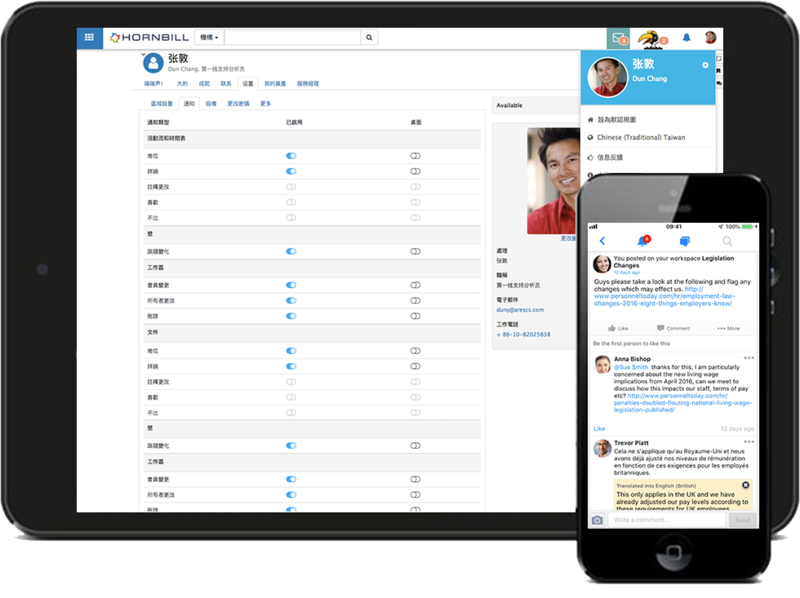 View, update, reassign and authorize your requests and activities, ask questions, and engage with your colleagues from your mobile device, wherever you are, anytime – and in any language. Powered by the Hornbill Service Catalog, the Hornbill Self Service presents your employees or customers with a tailored experience, based on their individual or group subscriptions. This all means that when accessing the Self Service your customers are presented specifically with the items, information and knowledge that are relevant to them and no more, simplifying the experience and making Self Service a resource that they will want to use over and over. With Hornbill you can deliver your customers a flexible, highly visual consumer experience designed to meet their needs. Easy code free configuration means you can publish a beautiful Self Service portal experience in a matter of minutes, customised to include your company logo, background imagery, and corporate colours. A Board can be for the use of an individual member of the service desk team, or shared with other team members, or other teams.Request cards can be added automatically from business processes or manually to any given list (lane) on a board. 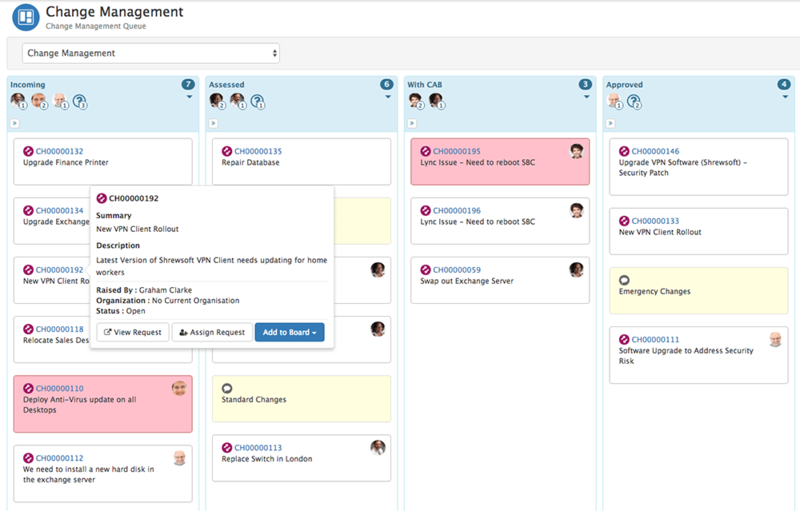 Each request card can be moved manually or automatically from one list to another on a board as it moves through its request life cycle. 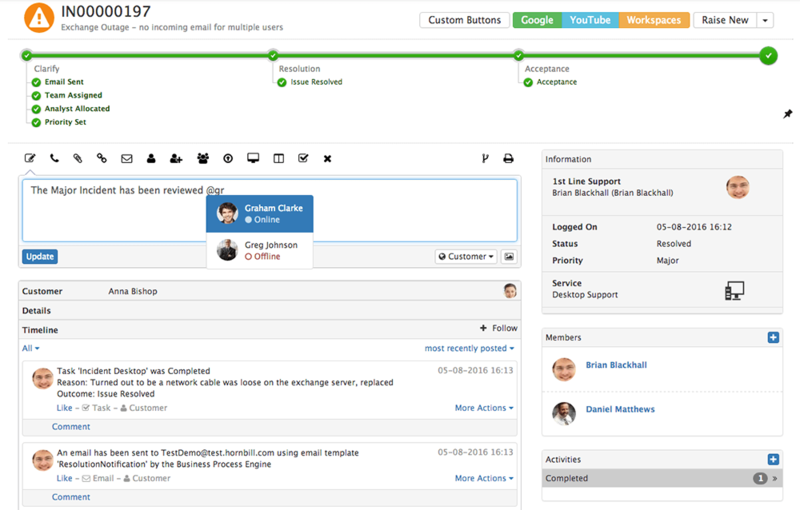 Providing users and management with a real time view for all requests, their current progress through process life-cycles and which members of the team have responsibility for each. Service Manager’s Asset Management capability helps you monitor assets through all the stages of their life cycle. By tracking the performance and costs of assets, and the relationships between them, you can make better strategic decisions and hence improve the IT environment. 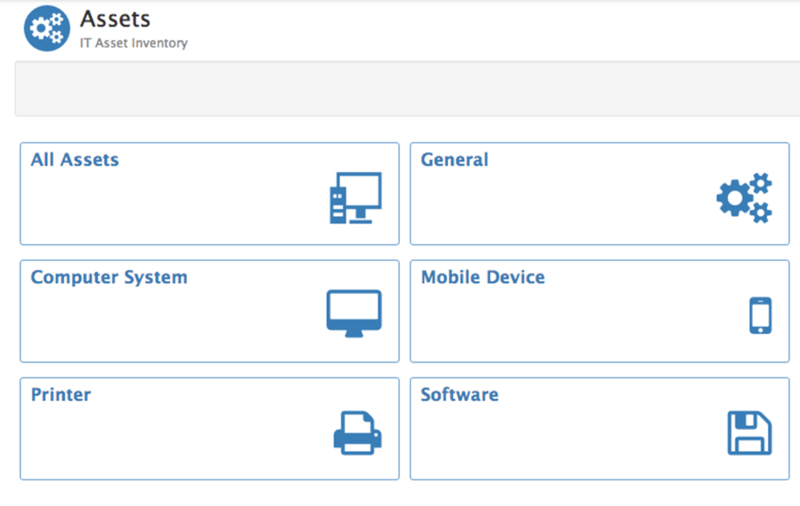 With Asset Management, it’s easy to maintain detailed hardware and software inventory information to help IT support the users of the assets and make better decisions about hardware and software purchases and redistribution. Seamlessly integrate Hornbill with your existing asset discovery solutions to ensure that your data is synchronized, allowing analysts to record issues against assets by associating them to requests. A challenge with configuration management databases can be the sheer volume of configuration items (CIs). 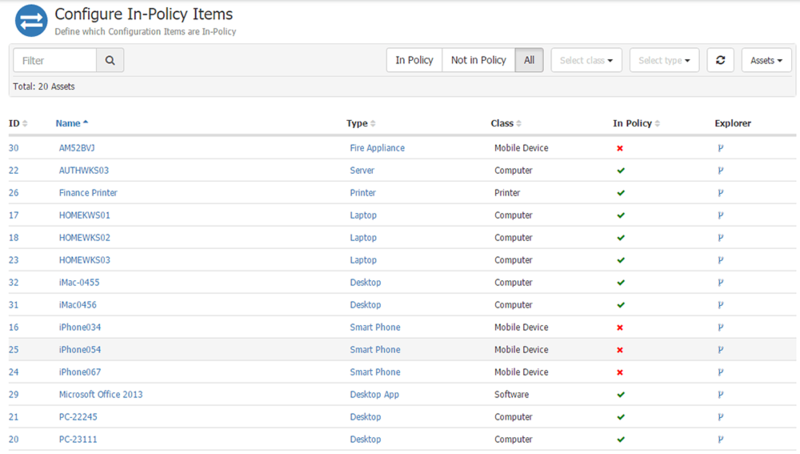 Configuration Manager allows you to select which configuration items you have under policy. These "In Policy" CIs will be those that have a significant value within your infrastructure, whether it be of financial or operational importance you can focus on the CIs that your organisation depends on. 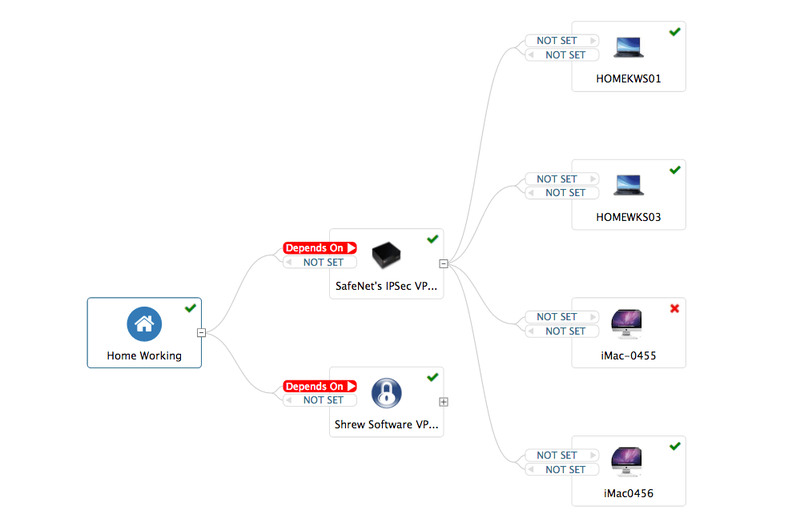 Using Hornbill Configuration Manager's CI Explorer, relationships and dependencies between CIs can be visualized and easily updated. At a glance, have an understand of the potential impact an off-line service or asset may have. 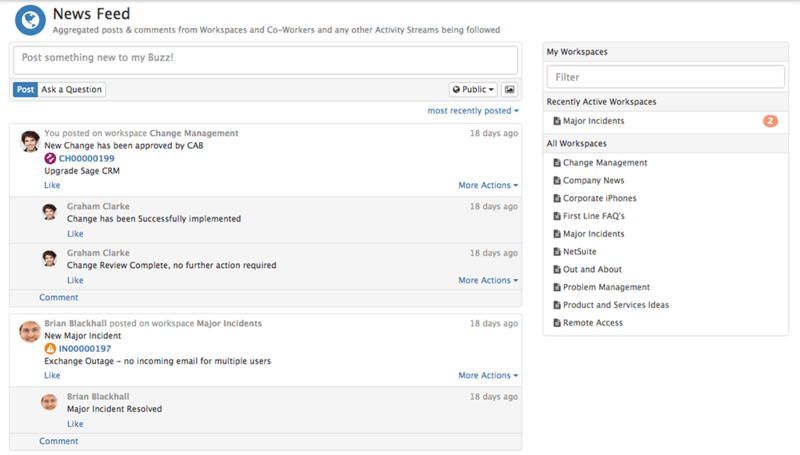 Installing Hornbill's Configuration Manager instantly provides the CI Explorer to requests, assets, and services, giving the support teams another tool for investigating issues and helping find resolutions faster. 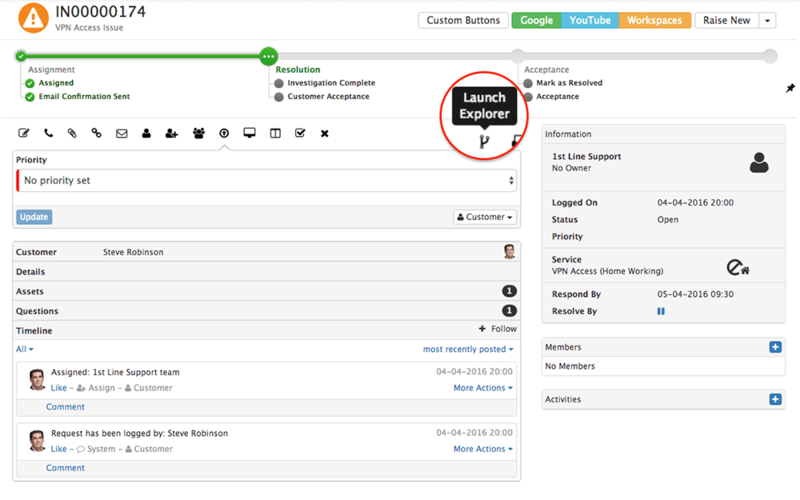 Launch the CI Explorer directly from a request to get a visual of services, assets, users, that may either cause or be impacted by the reported issue.